While preparing meat for grilling you are faced with several options on how to do it. You may use one of them; none of them or all of them. It is purely a matter of taste. Different meats respond differently to different techniques. You will have to find what works best for you. I for one rarely even marinate steak. I will generally use the natural method. However, when it comes to those boneless skinless tasteless chicken breasts. I will use almost every option available. I will marinate, rub and inject. 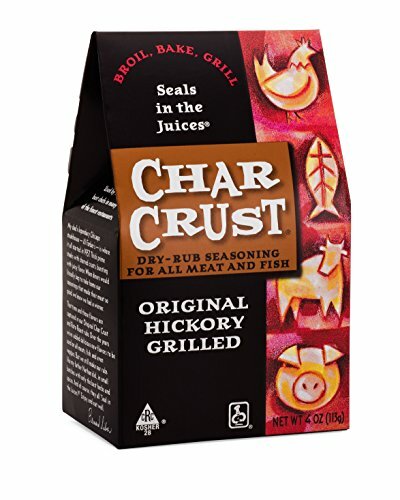 Anything to get some flavor into those healthy bland pieces of meat, that my wife makes me eat. This would be to cook it as is straight from the fridge to the grill. We will include salt and pepper here as well. Red meat should be allowed to reach room temperature before placing on the grill. I find this is the best way to cook steaks and burgers. When you are using good meat and meat itself stands alone. When choosing your meats. We always recommend you go to a local meat market as opposed to your local grocery chain. The meat is always fresher. You may pay a few cents more, but as soon as you bite into it, you will know that you got your money’s worth. With steaks: It best to let them stand and get room temperature before they hit the grill. This take about an hour. With this method, cooking it properly is key. Even the best steak will be dry and tough if overcooked. 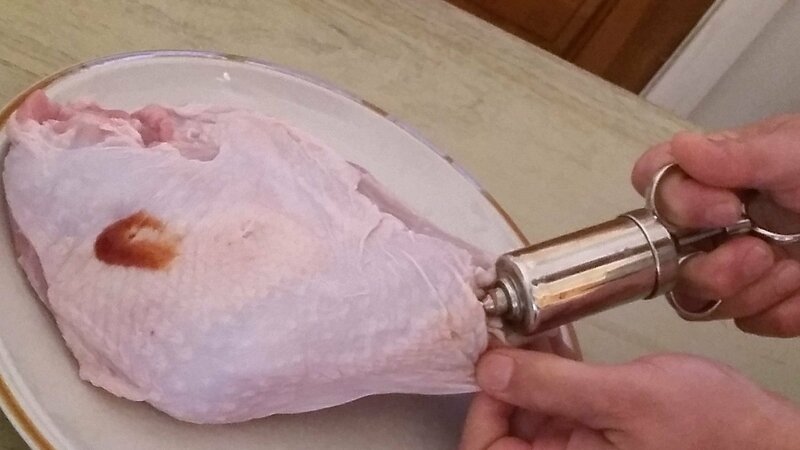 We suggest you start out using a meat thermometer. This will assure your meat is properly cooked. You cannot always tell by looking at the outside, whether a piece of meat is done or not. In time, after you’ve learned your grill. You will be able know how long it takes to cook certain pieces of meat that you cook all the time. Only then will you no longer need to use your thermometer. We also recommend searing most meats: chicken, burgers and steaks before cooking them fully. This will help seal in the juices. 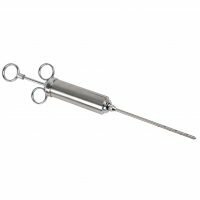 Syringe Type Marinade Injector 2oz. This is soaking the meat in a liquid and letting it absorb the flavors of that liquid. 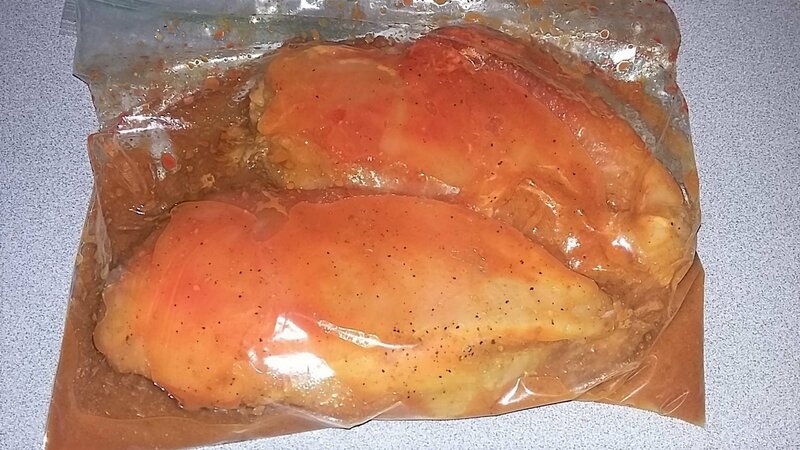 When Marinating meats, I prefer to use Ziploc bags. This allows you to use minimal marinade and add maximum taste. 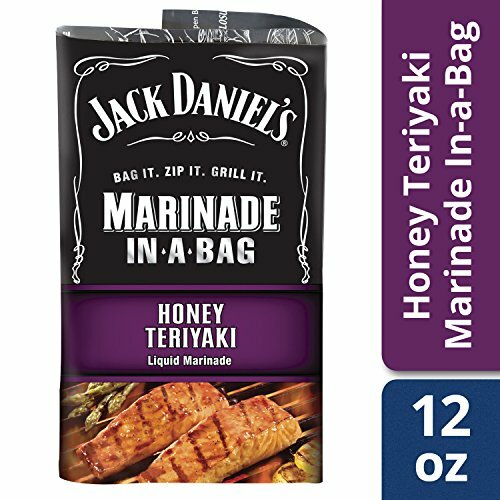 First add five or six tablespoons of your Marinade to the bag to begin with. Add your meat to the bag. Close the bag and spread the marinade around. If it does not look like enough add more. Now when you have enough to fully cover the meat in the bag massage it into the meat. Then refrigerate, I like to go back and massaging it in every hour or so and flipping the meat over. Some people prefer to let the meat lay in a pan with a marinade covering it and on the bottom. Using this technique is fine. The marinade will not penetrate the meat as thoroughly as one that is massaged in. Remember to flip the meat at some point during the marinade process and recover. You can marinate for 30 minutes or you can marinate for 24 hours. The choice is purely up to you. Save some of your marinade off to the side and use it as a finishing sauce. Try one of the multi-blade meat tenderizers that are out there. These not only tenderize your meats they allow the marinades to fully penetrate in minutes. You can also inject your marinade and skip the waiting process all together. There are a wide variety of pre-bottled marinades available. I personally figure out what I’m going to be cooking. For example, if it’s chicken and I’m going to make fajitas. I will use a Fajita Marinade. Change it up for what ever is going to be cooked. When you want to make your own marinade, here is a list of the items that can be used, again mix-and-match to taste. 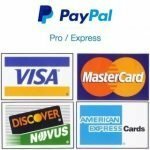 You will notice that a lot of these products are acidy and there is a good reason for that. The acids in the juices and the vinegar help to tenderize any meat. The thicker the piece of meat, the longer it should be marinated. It is important to note here: When you marinate your meat the marinade should be wiped off before the food hits your grill. 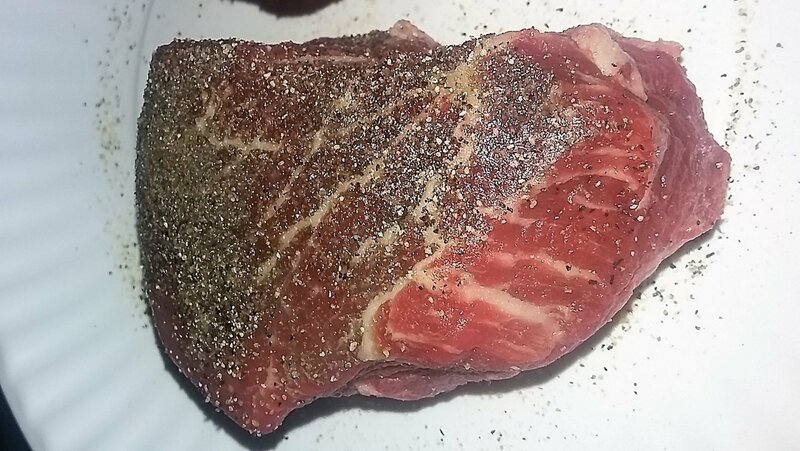 Dry rubs are putting a spice on the outside of the meat and massaging it in. This can be as simple as salt-and-pepper or as complex as store-bought rubs with multiple ingredients. Not to long ago, you didn’t have many prepackaged options to choose from for doing this. Now, you literally have hundreds of choices. Everybody has there own tastes. For this reason we do not recommend one brand over and another. When you decide to use a dry spice rub load it up, don’t chintz out. This is where the flavor comes from. To little and you won’t taste it at all and that would be a waste of your time. Rub the spice into the meat no need to be gentle here. Pretend you’re massaging a knot out of a loved ones neck. Put some muscle into it the more the spice penetrates to meat the more flavor you will add. You will know you’ve done a thorough job, when you wash your hands three times and you can still smell the rub on them. 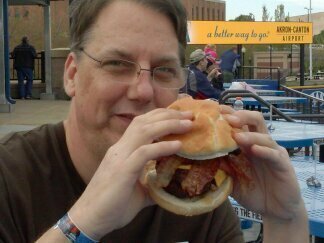 If it’s rubbed in your skin it’s rubbed into the meat! To make your own rub you can use just about any dry herbs and spices that you have at home. Here is sample of a dry rub mix that you can make yourself. Thoroughly mix all ingredients and stir or shake it and store covered in a cool dry spot. This is a good basic rub mix. It can be used on many things, mix-and-match other spices add or delete to taste. 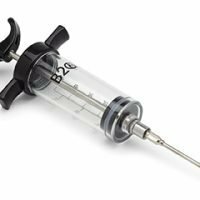 Injecting meats is a process of putting liquid to directly into the meat using something similar to a hypodermic needle. This can take the place of marinades. 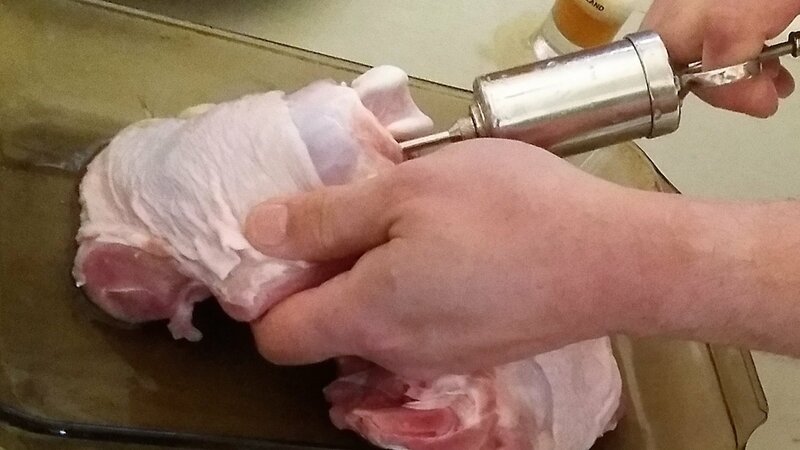 Injecting is the best way to put flavor directly into the meat. You will always be use a liquid when injecting. Put your favorite marinade into an injector and inject the meat with it. This serves two purposes: 1) To add flavor, and 2) Adding moisture so the meat is juicy. Be sure to work around the edges of your meat thoroughly to keep it from drying out while cooking. If you’re not an habitual injector yet, a low-end injector will do just fine. 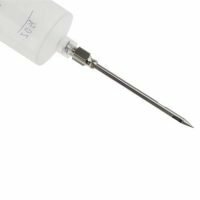 If you are injecting all time, you really need make sure that the needle is attached with metal threads. When you pour any type of sauce into the body of the injector be sure to strain the liquid first. Most sauces have small bits of onions and things in them that will clog the injector. The possibilities are endless here, if it can be liquefied and put through the needle you can inject it. Brining is soaking your meat in salt water to tenderize it. I am no expert at this so you may want to Google it. The finishing process is another way to add flavor, whether using barbecue sauce or finishing sauce. We will save that for another page. While preparing meat for the grill you are faced with several options on how to do it. You may use one of them; none of them or all of them is purely a matter of taste. Different meats respond differently to different techniques. You will have to find what works best for you.